My tribute: How to avoid a torpedo attack! Hmmmm! Torpedo attacks are instant destruction. Torpedoes can't be angled downwards - they are designed to do as much damage as possible on the surface - completely obliterating the target. And if that wasn't bad enough; torpedoes now have gyro angles. With the old fashioned straight running torpedoes it was necessary to aim at the target or where you estimated the target was going to be by the time the torpedo reached it but by setting GYRO angles the torpedo turns onto the proper track after it is fired. Thus it hits the target every time - sort of like a homing device - BANG straight into the target causing maximum damage. So it is with us - there are all sorts of torpedoes aiming at us most days. These torpedoes can come from work, sport, friends, family and even in church. They can come from the most unexpected sources and can blow us out of the water every time. 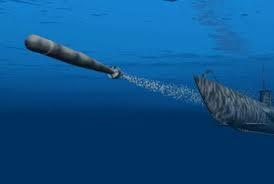 Some of the most amazing torpedo attacks come from sources that we thought were the most truest and trustworthy. Satan is out there as well - fuelling any sort of troubles with his cunning and making it harder and harder to avoid being hurt even devastated when things or people rock our boat so badly that we literally sink beneath the waves and, in some cases, never to rise again. Have you ever got to the stage where you ever feel like you must have a target painted on your back? Do you ever get bombarded with unfair accusations, unrealistic expectations or unmanageable situations? If you are a person of faith and you have given your will and life completely over to God then Satan hates you; in fact he hates all things that even smack of God. He hates your job, your family, your marriage, your spouse in fact everything about you is, in his mind, fair game and he will try to torpedo you as much as possible. Satan comes to steal and kill so if you see anything that resembles, stealing, killing and destroying in your life - you can rest assured that Satan is behind it. If Satan thinks he can torpedo anything in your life he will have a go at it. If he can undermine your faith, he will; if he can beset your marriage with problems, he will; if he can use the sin of offence in your life, he will. Maybe you feel emotionally strong and just maybe you can handle a lot of pressure, maybe you are the anchor of your family - you feel you can withstand any torpedoes coming your way - well that's great! But... there are many kinds of strength and the most important strength we have is our need of God - He is the one who gives you strength. True Christian strength is of the spirit and God is Spirit and He wants us to be strong; strong in Him. We can all fall - no matter who we are, David fell; Solomon fell; Samson fell - Yes we can all fall into Satan's traps. None of us are immune; none of us are strong on our own - we need the full armour of God to protect us; even if we have been Christians for years and years. It is Satan who apposes us; he is the one who wants us to join him in eternal separation from God; yet it is the very sacrifice of Jesus on Calvary that guarantees our deliverance from that awful end. You know, God is our protector. he is a divine shield to guard against the slings and arrows and yes! even torpedoes fired at us on a daily basis. Arm yourselves with his armour; His truths; His promises. Staying close to Jesus is the ONLY way to avoid torpedoes. Filling our lives with him on a daily basis; asking Him to re-fill us with the awareness of His holy Spirit living inside of us on a daily basis; being aware of his guiding and drawing on His strength daily is the only possible way to avoid being blown away by torpedoes of every kind.